Home / Blog / Divorce / Did Ohio Accidentally Decriminalize Child Support Arrears? Due to the Ohio Supreme Court handing down a shocking decision, an Ohio county where parents owe $112,000 in child support arrearages could potentially never collect one dime. In December 2016, the state’s highest court ruled that noncustodial parents cannot be indicted for non-payment of arrears after children have turned 18 years old, which is the legal age of emancipation in Ohio. This decision meant that Butler County prosecutors were forced to drop numerous pending cases, parents were left without monies owed, and family law advocates were left scrambling to patch the gaping hole now left by this landmark decision. Noncustodial parents must miss 26 consecutive weekly payments out of 104 in order for felony nonsupport charges to stick. 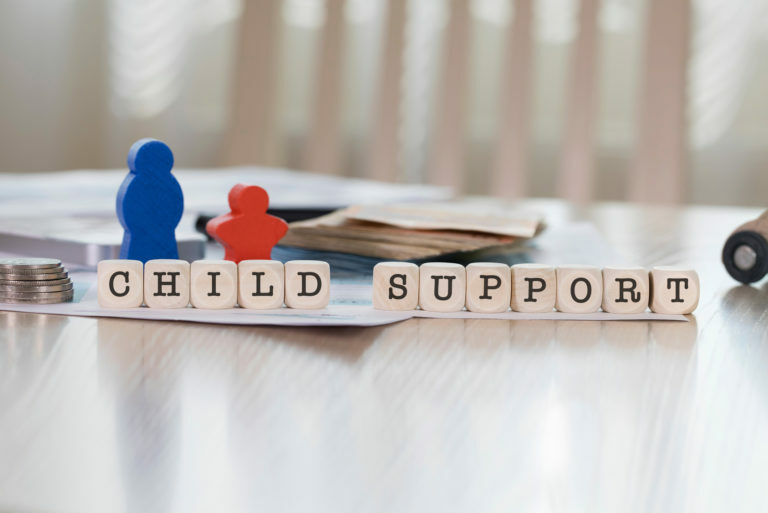 The decision was arrived at due to a language “glitch” which states that a noncustodial parent is legally obligated to support his or her minor children. Usage of the word “is” brings the obligation to the present tense, meaning current orders that go unpaid are criminally punishable. However, that was not the case when a Butler County man was previously prosecuted for felony nonsupport, but could not be prosecuted for arrearages after his twin daughters turned 18. One case dismissed by prosecutors amassed $65,000 in owed arrearages. Parents with no prior felony conviction may circumvent the system by stopping payments the day before a child gets emancipated without fear of criminal charges, according to the Pittman decision. As felony charges are the last-ditch efforts of prosecutors attempting to collect money, taking away this tool forces parents to hire private counsel to collect money civilly. Prosecutors normally work for custodial parents free of charge when state benefits are collected since those benefits create a state debt owed by the noncustodial parent. To protect their interests, noncustodial parents who normally get “second chances” to make payments on-time may see felony charges more frequently until legislation fixes the loophole. Child support payments, when current, provide care to children concurrently. It offers food, shelter, schooling, medical care, and other necessities related to child care. Oftentimes, this is money already paid by custodial parents who use child support payments to replenish money spent above their portion of support. When support payments are missed, noncustodial parents put the custodial parent in jeopardy of not meeting financial obligations. After an extended period of time, Ohio believes these missed payments are intentional and takes swift action to prevent further suffering. This is accomplished through tax intercepts, license suspension, property liens, and in extreme cases, felony charges. Taking away one’s ability to compel an obligor to pay hampers the custodial parent’s ability to recuperate money already spent, which is what the Pittman decision may have inadvertently done. Changes to support laws can only happen if those they affect are proactive. Write your senators, have your local newspaper blow your story up, push for changes and do not back down. Collecting arrearages should not be like pulling teeth, but if current case law does not change, those teeth may never get pulled. Owed child support arrears, or need to establish an order? Kryszak & Associates, Co., LPA are experienced in all areas of family law and want to help. Call us today to schedule an appointment at 440-934-5330.